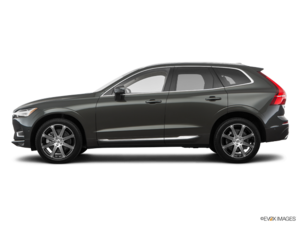 No one should have been shocked to see the new 2018 XC60 when Volvo unveiled it at the Geneva auto show on March 7th of this year. It looked much like we all expected it to, a smaller, sportier variation on the XC90 theme with a little V90 sports wagon thrown in for good measure, a very good thing being that the larger SUV is mostly responsible for returning the Swedish brand to the forefront of the luxury industry. The totally redesigned XC60, a model that traditionally represents about 30 percent of Volvo's worldwide automotive sales, will make an even bigger impact on the brand and the entire compact luxury SUV segment when it goes on sale later this month. Pricing will start at just $45,900 plus freight and fees for the T5 engine, eight-speed automatic transmission, standard AWD, and base Momentum trim. The T5 engine is Volvo's direct-injection turbocharged 2.0-litre "Drive-E" four-cylinder, making 250 horsepower and 258 lb-ft of torque. Two optional engines will join the XC60 lineup at launch, including a 316 horsepower (and 295 lb-ft of torque) version of the same four-cylinder in the T6, which is boosted by a supercharger as well, plus a 400 horsepower T8 variant with 472 lb-ft of torque that includes assistance from the same Twin Power plug-in hybrid technology found in the current XC90 T8. The XC60 T8 is claimed to sprint from zero to 100km/h in just 5.3 seconds. Standard Momentum features include 18-inch 5-Y-Spoke silver alloys on 235/60 all-season tires, LED headlights with integrated "Thor's Hammer" DRLs, LED taillights, bright metal for the side window surrounds and roof rails, dual chromed tailpipes, metal doorsills with "Volvo" branding, a three-spoke leather-wrapped multifunction steering wheel, a leather-wrapped gear knob, powered and heated front seats with four-way powered lumbar support and driver's memory, Charcoal black leather upholstery, Iron Ore aluminum inlays, dual-zone auto climate control (with CleanZone that monitors incoming air and closes the intakes if harmful substances are detected, uses a multi-ﬁlter to reduce dust, pollen, particles and chemical odours, and automatically ventilates the cabin upon unlocking), an 8.0-inch colour TFT instrument cluster, rain-sensing wipers, an auto-dimming rearview mirror, voice activation, Bluetooth phone and audio streaming, Sensus touchscreen infotainment with Apple CarPlay and Android Auto smartphone integration, a rear parking camera, 224-watt audio, satellite radio, one auxiliary and two USB connections, Volvo On-Call, illuminated vanity mirrors, a powered panoramic sunroof, a powered tailgate, a cargo cover, a metal scuff plate on the cargo sill, and much more. Building on base Momentum models is a multitude of option groups including the $3,100 Momentum Plus package that adds full-LED headlights with auto high beams, dynamic corning ability and high-pressure cleaning, proximity-sensing keyless entry with hands-free tailgate opening, "High-Level" cabin illumination, a 12.3-inch configurable TFT gauge cluster, and four-zone auto HVAC with a cooled glove box; a $1,400 Sport package featuring a performance-tuned suspension, a sport steering wheel with paddle shifters, sport seats with manual cushion extensions, and a black roofliner; $1,350 Climate package with heatable wiper blades, windshield, steering wheel and rear outboard seats; a $2,300 Climate package with HUD, that includes everything from the just noted Climate package plus a head-up display; an $1,800 Vision package with power-folding and auto-dimming side mirrors, a 360-degree Surround View parking camera, blindspot monitoring with rear cross-traffic alert, plus Park Assist Pilot with front and rear parking sensors; and a $2,200 Convenience package with Volvo's Pilot Assist semi-autonomous Drive System that has the ability to steer, accelerate and brake on well-marked roads up to 130 km/h, adaptive cruise control, a HomeLink universal garage door opener, an integrated compass in the rearview mirror, power-folding rear headrests, and power-folding rear seatbacks. R-Design trim includes unique exterior details such as a horizontal mesh patterned grille insert, brushed aluminum-like silk metal trim around that grille and the side windows, matte silver side mirror housings, sportier looking front and rear lower fascias, and 19-inch twinned five-spoke diamond cut alloy wheels with matte black pockets on 235/55 tires, while the interior gets R-Design doorsill plates, R-Design floor mats, a special perforated leather-wrapped R-Design sport steering wheel with paddle shifters, perforated leather on the shift knob, metal pedals, unique Metal Mesh inlays, a black headliner, Nubuck R-Design Charcoal black leather upholstery with contrast stitching, special sport seats with manual front cushion extensions, and more. Additional standard R-Design kit includes everything from the previous Momentum package plus fog lamps, illuminated door handles with puddle lights, proximity-sensing keyless entry with hands-free tailgate opening, road sign info, personal steering settings with low, medium or high assistance, four-zone auto HVAC with a cooled glove box, Sensus Navigation with real-time traffic info, rear parking assist, netted pockets on the transmission tunnel, active noise control with engine/exhaust sound enhancement, and more. Due to the R-Design model's increased standard content, available option groups are limited to the Climate package, Climate package with HUD, Vision package, Convenience package, plus a new $1,500 Tailored Dashboard package featuring a full leather covered instrument panel with contrast stitching and a 12-volt charger in the cargo area, while standalone options include the same $900 for metallic paint, $1,000 for unique 21-inch triple-spoke diamond cut alloys with black painted pockets on 255/40 performance tires, and the previously noted 4-Corner Air Suspension. Lastly, Inscription trim takes a more traditional luxury approach to the XC60's look and feel and therefore does away with the R-Design's sportier styling and performance enhancements, but it keeps all the other upgrades while adding a unique grille insert with bright metal vertical slats, 20-inch eight-spoke diamond cut alloys with black painted pockets on 255/45 tires, driver-selectable Comfort, Eco, Dynamic, Off-Road and Individual "Drive-Mode" settings for adjusting powertrain and steering characteristics, perforated Nappa Leather upholstery in all the colours noted previously as well as Maroon Brown, powered front seat bolsters and extensions, ventilated front seats, front passenger seat memory, Driftwood grey hardwood inlays, the Tailored Dashboard instrument panel upgrade, and more. Inscription trim gets the same four packages and three standalone options as the R-Design while adding available $425 Linear Lime hardwood inlays to the latter list. 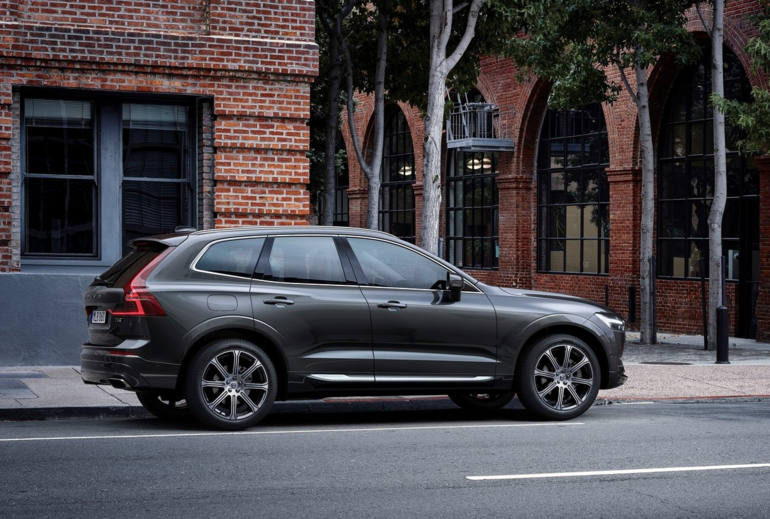 Additionally, the XC90 is 5-star rated by the NHTSA and earned best-possible Top Safety Pick Plus status from the IIHS, so the new XC60 will likely follow suit. To learn more, contact Volvo of Vancouver 888-454-4165 or toll-free at 888-485-1879, or go visit them in the showroom at 8530 Cambie Street, just behind the new Marine Drive Skytrain Station and new Marine Gateway urban centre between Cambie and Yukon streets.